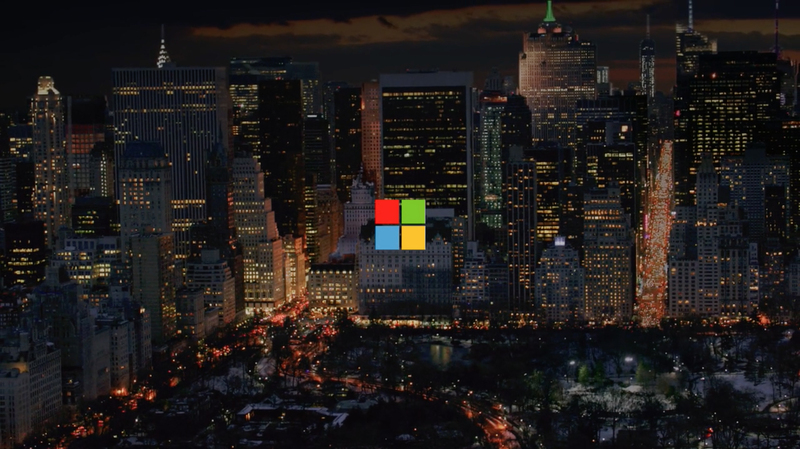 Microsoft is reimagining its brand relationship with Apple with “Microsoft Peace on Fifth Avenue”. Traditional holiday marketing campaigns have concentrated for years on competitive messages designed to sway buyers toward their products and services. But this year, Microsoft has taken a different approach. On November 16, 2015 a group of 37 Microsoft employees from around the country gathered in New York City at the company’s new flagship store with the intent to sing a song of peace to the world. 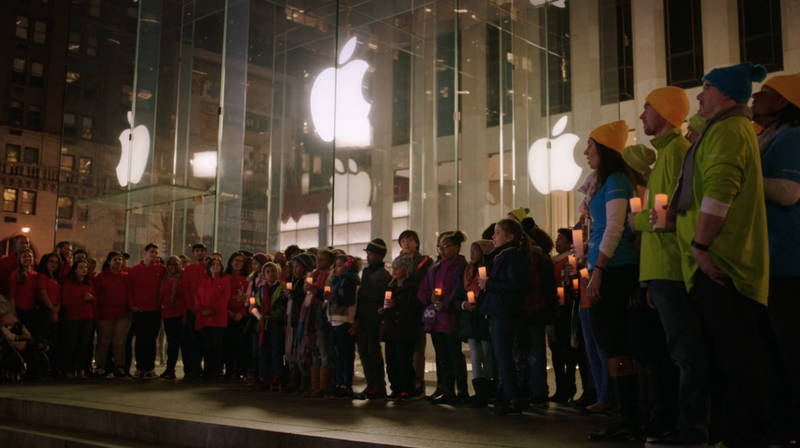 New to NYC, they took a walk in the neighborhood and sang it in front of the Apple flagship store on 5th Avenue. The Microsoft chorus was chosen from hundreds of auditions from around the country. These Microsoft team members – along with members of a Harlem youth choir – assembled at sunset on the plaza outside the Apple store and surprised a large crowd of shoppers, tourists and passers-by with a beautiful rendition of Jill Jackson Miller’s iconic song, “Let There Be Peace On Earth.” Several Apple employees joined the Microsoft team in a celebration of unity and good cheer at the song’s conclusion. It was a fitting welcome to the neighborhood by Apple and a warm celebration to begin the holiday season. The song’s message of hope and empowerment resonated strongly with the participants and crowd alike during this particularly emotional time of year. The Microsoft Peace on Fifth Avenue campaign was developed at m:united McCann, New York, by chief creative officers Sean Bryan and Tom Murphy, executive creative directors David Banta and Lew Willig, creative director/art director Roberto Baibich, director of creative technology David Cliff, art director Nickie Thongton, copywriter Brett Barnett, senior copywriter Chauncey Hollingsworth, senior art director Christina Ta, junior copywriters Elina Rudkovskaya and Scott Barrows, junior art director Joo Kong, director of integrated production Aaron Kovan, executive producer Carolyn Johnson, producer Mel Senecal, junior producer Monique Fitzpatrick, interactive producer Rick Segal, executive music producer Eric Johnson, strategy director Eldad Heilweil, senior digital strategist Ryan Duffy, managing director Kevin Nelson, group account directors Tina Galley and Darla Price, global implementation director Philip Chan and Anderson Diaz, project management director Stella Warkman, group account director Sarah Keiber, account supervisor Courtney LeBlanc. Filming was shot by director Erich Joiner via Tool of North America with managing director Oliver Fuselier, executive producer Lori Stonebraker, line producer Lindsay Smith. Editor was Damion Clayton at Rock Paper Scissors with executive producer Eve Kornblum and post producer Charlyn Derrick. Sound was mixed at Sonic Union by mixer Steve Rosen and studio director Justine Cortale.
. Music was produced at JSM Music by music director Joel Simon and composer/choir director Doug Katsaros.